1Turn on the console and sign in. Sign in with your main Microsoft account. 2Go to the top-right corner and select the icon for your signed in account. 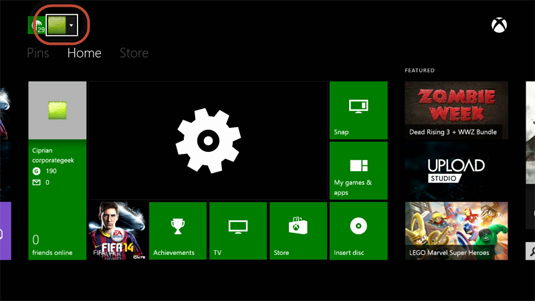 3Xbox One asks Who do you want to sign in as? 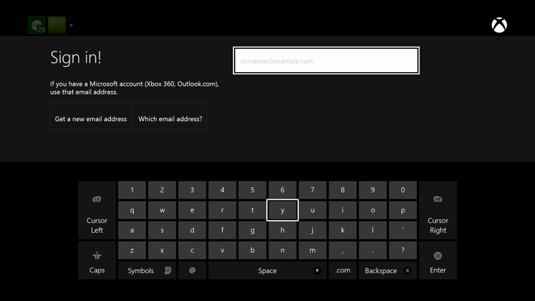 4Xbox One asks you to enter the email address for your friend's Microsoft account. 5Then, you are asked to enter the password for that account. Have the other person type the password and press Enter. 6You are shown a summary of the default privacy settings that are applied to his/her account. Read it and select Next. 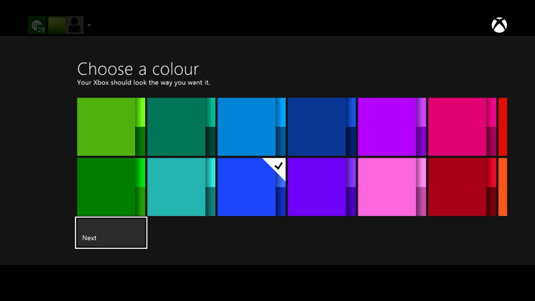 7Now you can choose a color that will be used to display the Xbox One interface. To make it clear when this second account is signed in, you should pick a different color than the one you are using for your account. Then, select Next. 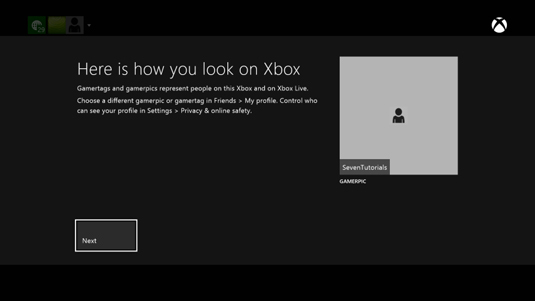 8Xbox One shares how the person that just signed in looks on the Xbox. 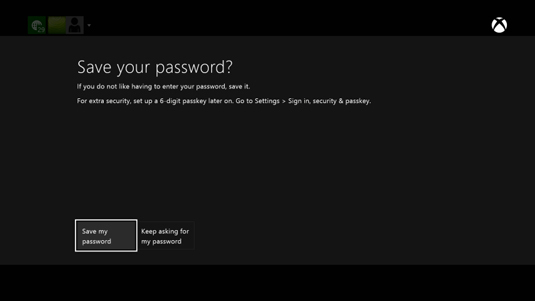 9You are asked whether you would like Xbox One to store your friend's password. Select the option you prefer. 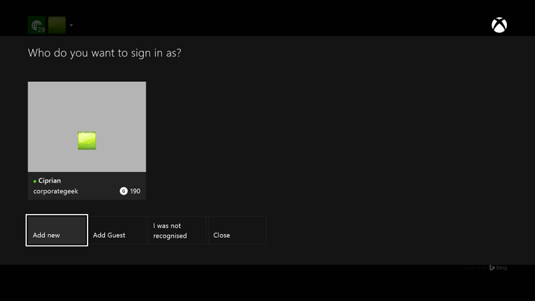 10Then, you are asked whether the other person would like to sign in faster with Kinect. 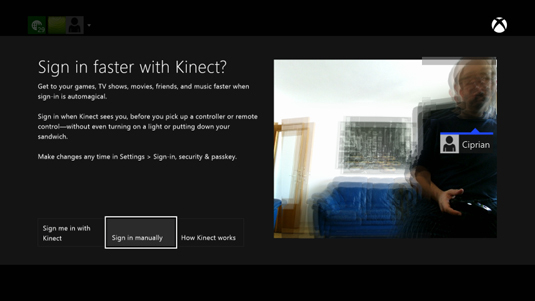 If you want that, have the other person stand in front of the Kinect and then select Sign me in with Kinect and make sure that Kinect learns the figure of the other person. If you don’t want that, select Sign in manually. 11The sign in is finished and you are asked to go Home by pressing the appropriate button on the other person's controller. 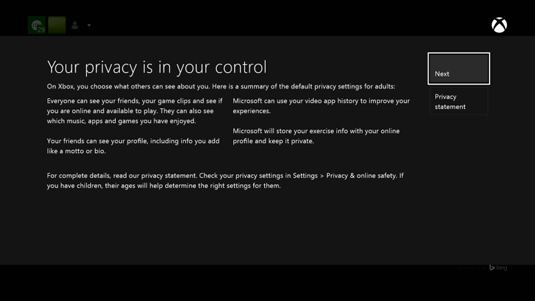 Now you are both signed in to the Xbox One and you can play multiplayer games together and have your achievements and gaming data stored on both accounts.